I used PTI's Sweet Blush, Vintage Cream and Raspberry Fizz cardstock. 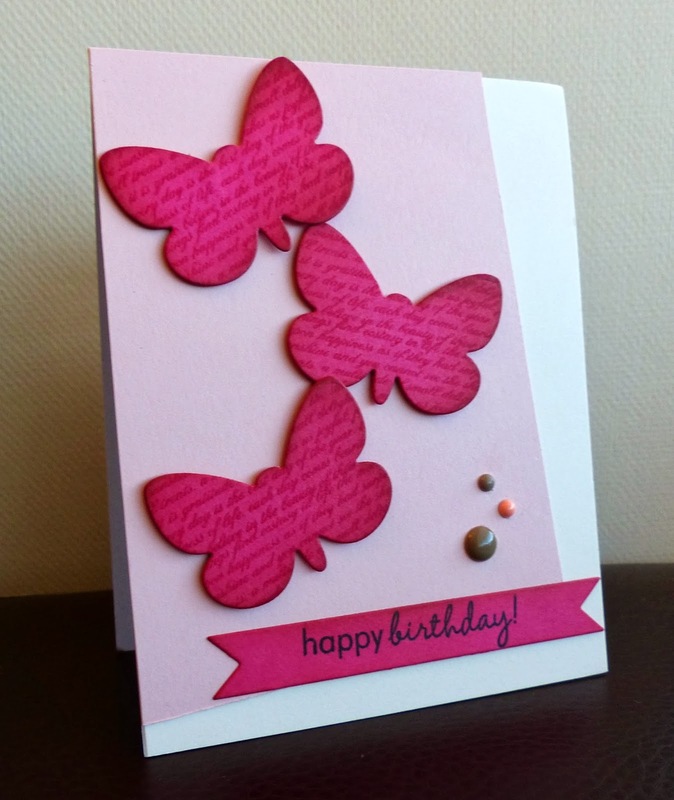 I stamped Text Style onto the Beautiful Butterflies diecuts and inked up the edges with some distress ink. The sentiment is from Tremendous Treats Birthday. 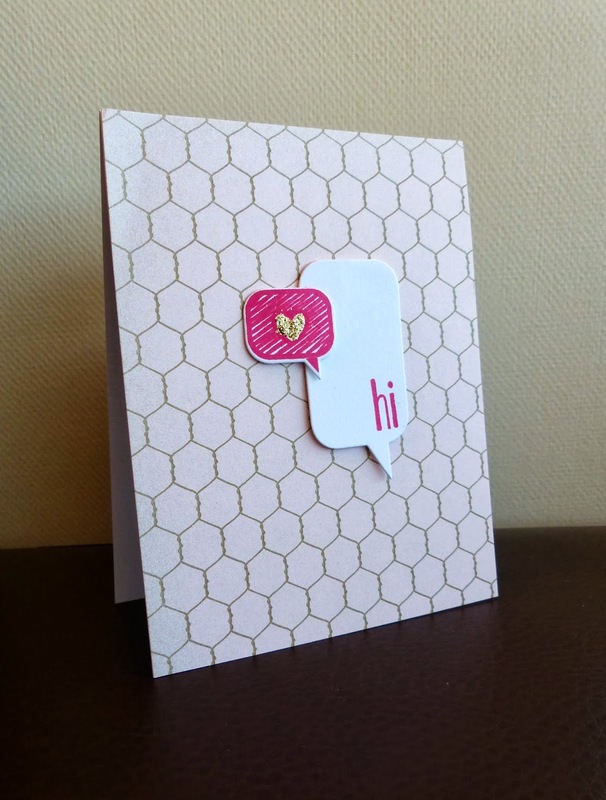 I also had this patterned paper in my stash (it is a very soft pink) and I couldn't resist making another card...with a touch of gold! These are both fabulous. I really love the text butterflies. P.S.--did you know you have word verification on? You might be better off turning it off and using comment moderation. You'll get more comments and fewer frustrated readers. Hi Joyce.... Thanks for your comment and no I did not know I had word verification on... I have turned it off! Thanks for letting me know!! These are both lovely, Megan! Fabulous job with the challenge! First of all, welcome to the blogging world, Megan!! Sure hope you'll stick around, you have a great style! Both great cards for the hop. Love your last one with the layered word balloons on that patterned paper!